The Midnight Review: Conan O'Brien's Triumphant Return! I know everybody has their late-night preferences- I preferred Conan O'Brien over Jay Leno and David Letterman - but now that Conan O'Brien has made his debut on TBS, the numbers are in - his premier drew 4.2 million viewers, more then his rivals. Jay Leno had 3.5 million viewers and David Letterman had 3.4 million. What's even more interesting is the percentage of viewers who belong to the 18-49 age group - 3.3 million of Conan's audience were in this demographic compared to 990,000 for Leno and 1.3 million for Letterman. While O'Brien's numbers may taper off in the coming months, his debut may indicate that the star has some staying power. I also think it is interesting in the number of young viewers who tuned into O'Brien's TBS show versus those who tuned into Leno's - NBC missed out on a large audience by not giving O'Brien's Tonight proper support. 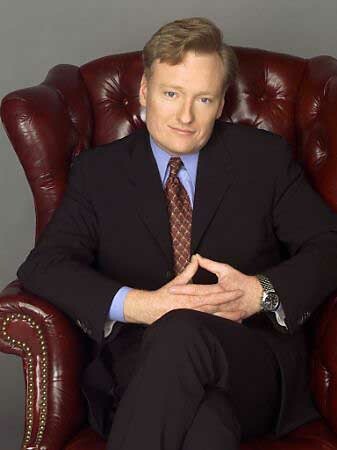 I am also sure that Leno will lose viewers to O'Brien because of the way NBC handled the whole Tonight debacle, which is a good thing for O'Brien. If only Jimmy Fallon would jump ship and join O'Brien on TBS - I admit that I enjoy Fallon's program. I know many others who don't but, in my opinion, Fallon's show seems very relaxed. His writing is whimsical, his segments refreshing, and his house band is amazing. Fallon's knowledge of pop culture works well when interviewing his guests, and while some have called his style unprofessional, I find him more relatable. I would say next on my list would be Jimmy Kimmel.